All of us have either been affected by a critical illness to ourselves, our loved ones or know someone who has suffered this experience. The effects can be catastrophic on finances as the medical bills just seem to keep piling up. It is not only the medical bills but you still have to pay your daily living expenses such as mortgages, automobile notes, insurance premiums, utility bills and more. Your spouse or significant other may also be financially impaired if she has to be absent from work to care for you. Critical illness insurance is protection designed to help ease the blow to families dealing with a critical illness and provide money to help with financial expenses when it is needed most. Simplified Issue Individual: A simplified issue critical illness insurance policy for individuals is available in amounts up to $50,000. The underwriting requirements are not as stringent as for a critical care policy for a larger amount and only basic health questions are asked. These plans are affordable to most families and can be purchased from your own independent insurance agent. Fully Underwritten Individual: You can purchase a fully underwritten critical illness insurance policy for amounts up to $500,000. For this higher amount of protection, you can expect to be asked detailed medical history from the insurance company. You may also be able to purchase this type of critical illness insurance through your employer. Policy Rider: Some life insurance policies offer critical illness coverage through an endorsement to the policy (policy rider). The cost of critical illness insurance is going to vary based on how much coverage you purchase can be affected by any pre-existing medical conditions. For policies with a face value of $50,000 or less, you may not be required to take a medical exam. You can purchase a simplified issue policy worth anywhere from $10,000 to $50,000. The premiums range from $180 to over $1,500 annually and may cost you more if you are a tobacco user. For amounts over $50,000, you will have to fill out a medical questionnaire to see if you are eligible and then receive a quote to purchase a policy. Of course, it is a good idea to shop around through insurance comparison sites to get the best value on an insurance policy. Aflac: Guaranteed issue policies are available through Aflac with no medical questions to answer. Aflac also offers One Day Pay and an option to be paid in a lump sum payment or over time. To use One Day Pay, if you submit a claim through Aflac’s SmartClaim system by 3 p.m. Eastern time, you should receive payment the next day for eligible claims. For other claims, these are generally processed in three to four days’ time. Mutual of Omaha: Mutual of Omaha pays 100% maximum benefit for these conditions under its critical illness policy: heart attack (myocardial infarction), life-threatening cancer, stroke, Alzheimer’s disease, major organ transplant, paralysis, kidney failure, blindness or deafness. A small benefit amount, 25% of the maximum benefit is available for these conditions: first coronary artery bypass surgery, first coronary angioplasty and first carcinoma in situ. Colonial Life Insurance Company: Colonial life offers lump sum benefit payments for conditions covered under its critical illness insurance policy including heart attack (myocardial infarction) end-stage renal failure, coronary artery bypass surgery, stroke or major organ transplant. You can receive additional benefits if you are diagnosed with multiple conditions covered in the policy. Principal Financial Group: Principal Financial Group’s critical illness policy pays a lump-sum, tax-free benefit for cancer, major organ failure, heart attack, and coronary artery bypass graft. No medical exam is necessary and the benefit is paid regardless of other medical coverage. There is a wellness benefit and multiple payouts are available if you are diagnosed with more than one covered condition. Assurity Life Insurance Company: Assurity will pay a maximum benefit for a heart attack, cancer or paralysis under its critical illness policy. Coverage is also available for other conditions and illnesses. You can purchase a policy or add a rider to your life insurance policy. Face amounts are available from $5,000 to $500,000. 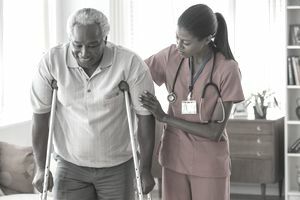 American Fidelity Assurance: Lump sum payments are available for eligible illnesses through the critical illness insurance policy offered by American Fidelity Assurance. The policy covers heart attacks, permanent damage caused by a stroke, major organ failure, and major burns. This is an employer plan and benefits and coverage options may vary by state. Guardian Life Insurance Company of America: Guardian Life offers a critical illness policy for face values up to $50,000 and covers more than 30 critical illnesses and conditions. This is an employer plan and the employee and his dependents are covered. A family wellness rider extends the coverage to include preventative checkups and exams such as mammograms. Assurant Health Insurance Company: Assurant’s critical illness plan provides coverage for a variety of covered conditions and illnesses including cancer, heart attack, and stroke. Benefits are payable regardless of other medical coverage. Guaranteed issue options are available. This coverage is available through employer plans. Coverage is not available in all states. Combined Insurance Company: Combined Insurance Company offers a critical care policy that pays a lump-sum benefit for covered conditions including organ transplant, Multiple Sclerosis, heart attack, stroke, brain tumor, kidney failure and more. For the states of CA, CO, DC, ID, MD, MI, MT, NM, NC, OR, and WY; benefits are not payable unless the insured survives at least 14 days following a covered loss. AIG: The critical care policy from AIG is called CriticalCare Plus and pays a lump-sum benefit for covered illnesses including coma, invasive cancer, stroke, kidney failure, paralysis, paraplegia, severe burns and more. Benefit amounts are available from $10,000 to $500,000 for 10 years, 15 years, 20 years, 30 years or a lifetime benefit. No one has a crystal ball to predict when a catastrophic illness will strike. If we did, we would all be better prepared. While your basic health insurance policy provides some coverage, there can be huge gaps for conditions that require ongoing care. Individuals who have a family history of cancer, heart disease, stroke or another medical condition may feel more comfortable having this added protection in place. Even if there is no family history of such diseases or conditions, that is no guarantee that it won’t come your way. Only you can be the judge if critical illness insurance makes sense for you and your family.